Chicago, IL averages 31.5 degrees F in winter. You need a well-insulated garage door to keep the heat inside and the cold out. There's no better way to understand the quality of our products than to watch them being tested against others in a lab. Your door is only as good as its installation. That’s why GARAGA offers its customers a network of certified installers. In Rolling Meadows, IL you can benefit from over 45 years of experience! According to a cost-value study made by the magazine “Remodeling”, midrange projects to replace a garage door cost on average $1,740 in Chicago. In fact, houses in Chicago, IL recoup an average of 68.5% of their garage door cost when they are sold. As for upscale projects to replace garage doors, their average cost is $2,997 but in this case, you get a midrange 3.8% better return as you recoup 72.3% of your cost when you resell your home. Buying a garage door for your home in Chicago, IL, whether for a new construction or renovation, is a real investment. It will not only provide your home with a safe place for your vehicles and plenty of storage space, but it will also enhance the overall value of your property. However, you must have a good door on your garage or else your garage will not be safe, easy to access or attractive to look at. 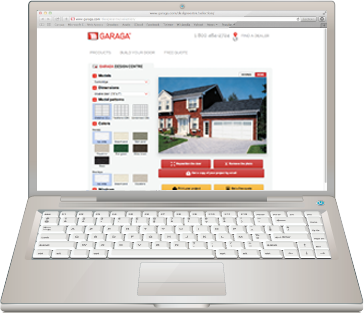 You have to make sure you get a quality residential garage door, and today you can find one through GARAGA’s network of garage door expert in the Chicago, IL area. If you contact one of these experts, then you will find that the process of getting a quality door for your garage will not be difficult at all. A quality garage door can help but you must be certain that you take a careful look at your desires. The experts in Chicago, IL will help you to find which door will fit in well for your needs. The design should be one that matches with the rest of your house so it will look more appealing on the outside. Our specialists will go over with you the various models, colors, finishes, windows, decorative hardware and optional accessories available. It's critical to find a door that blends with the design of your home. In addition, you need a model that will be insulated, protecting the garage from inclement weather and keeping the temperature in that space more constant. This is to keep your garage from being hotter or colder than what is comfortable, and to save you in heating and cooling costs. There are many strong reasons to choose the LiftMaster brand of garage door opener for use in your home in Chicago, IL. Produced by the Chamberlain Group and renowned for their excellent quality, unflagging reliability and incredible durability, these openers can also enhance the functionality of your garage. They will open your door through a remote or through a code that you can enter into a keypad. With this in mind, you can easily open or close the door from inside your car or right at the door that links the garage to the rest of your home. Even just one hand is enough. There's no need to deal with heavy lifting here. Plus, LiftMaster products are very safe. The opener uses infrared signals to determine when someone is in the way of a garage door as it is in motion. Therefore, no one will be at risk of being hurt by the door. This is especially important as your car will not be damaged by the door in the event that it hasn’t entered all the way into the garage. The door will simply move back up if something is in the way, making it a safe and secure unit to use in your home. The variety of LiftMaster options that you choose will vary based on what you require. 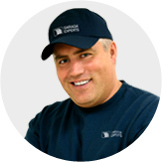 Each product is dependable and will assist you in getting the most out of your home. As nice as a new garage door can be in your home in Chicago, IL, you need to make sure that you look for a company that provides good service and will assist you with getting the most out of your door. 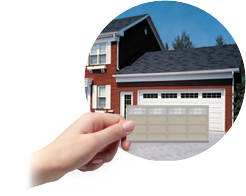 We have many professionals in Chicago, IL that can help you out with taking care of your garage door requirements. These include experts who can install, repair and maintain doors. 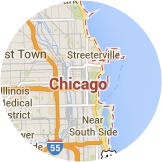 Just call us and we'll get an expert to your Chicago-area home as soon as possible. What’s more, it is a wise plan to sign up for an annual tune-up program to ensure the long and safe operation of your door. The goal is for you to relax, worry-free, in your beautiful home.